(Christmas gift – thank you Jimmy) On the basis of a single book, “Women in Science”, my son and I welcome to our academic library ANY book book written by Rachel Ignotofsky. WOW. Ms. Ignotofsky certainly meets her goal of creating educational works of art; this dazzling book is intelligently organized and jammed with the kind of information we want to know about. So far, we have been enticed into learning about the contributions of women astronomers, chemists, mathematicians, entomologists, paleontologists, engineers, electricians, geneticists, and geologists. This book is such a keeper. agriculture – we spent some time musing over the fact that sheep were raised for milk and food beginning around 7,000 BCE, but wool was not woven into into fabric until 4,000 BCE (Whoa. A 3,000 year time gap). the wheel – the first wheels were potters’ wheels (we did not guess this – and we do know all about potters’ wheels from our study of ceramic artist George E. Ohr). the written word – we marveled over the Rosetta Stone. games – we now know that when we play tic-tac-toe we are playing one of mankind’s oldest games (first century BCE) (seriously, the 3 Wise Men could have known how to play tic-tac-toe). 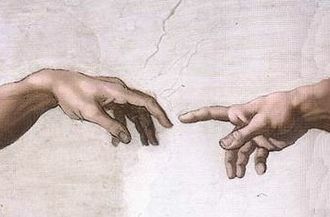 religions – I had no idea that this would lead to a discussion of REINCARNATION. But, duh, OF COURSE. If one hasn’t heard of reincarnation one would want to spend a bit of time grasping the concept. 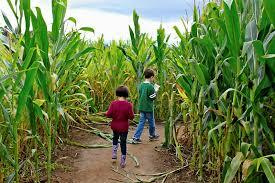 Fiction Fun – “The Season of Styx Malone”, by Kekla Magoon. Styx is full throttle coolness and confidence. Do we trust him? We just don’t know. This keeps us leaning forward as we read chapter after chapter. Please don’t disappoint us Styx! Classical Quiz – I wanted to check to see if my son was retaining info about the great musicians we have been listening to, so he matched up virtuosos with their instrument. A few conductors were tossed into the mix to make things tricky. FYI: my son scored 100%. Jacque Arcadelt’s Ave Maria melody of the mid 1500’s can be found in both Camille Saint-Saens’ 1886 Organ Symphony and the Finlandia Hymn from Jean Sibelius’ 1899 symphonic poem, Finlandia. Luigi Denza’s Finiculi Funicula (1880) is front and center in Richard Strauss’s Aus Italian (1886) and in Nicolai Rimsky-Korsakov’s Neapolitan Song (1907). Brahms’ Symphony 3, movement 3 (1883) provides the melody line for Carlos Santana’s Love of My Life (1999). Then we listened to rock-group-from-the-60’s/70’s Jethro Tull’s recording of “Bouree”. Such a lively interpretation of the Bach suite movement, but it is clear that lead musician, Ian Anderson, had not much experience playing the flute. We read a few interviews and found out that Anderson was a self-taught flutist, admitting that he had no idea what he was doing. So we say BRAVO to his CAN DO attitude. We concluded by listening to a 2005 recording of Ian Anderson playing the same piece, “Bouree”, with orchestral support. Anderson did well with the 35 year practice period! YAY. Also, we learned that the real Jethro Tull (inspiration for the rock group’s name) was a noted British agriculture pioneer (1674-1741). Our current history unit is riveting – or more precisely, it’s about rivets. We are reading about the blue jeans empire of Levi Strauss & Company, (“Images of America – Levi Strauss & Co.” by historian Lynn Downey). 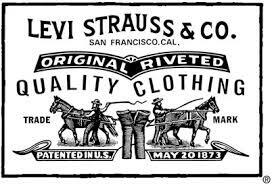 We’ve learned that Levi Strauss, of San Francisco, teamed with tailor, Jacob Davis, in 1873 to manufacture an extra-hard-wearing work pant – the key to their immense success was their patented rivets-on-the-corners-of-the-pockets design. But this unit is giving us an opportunity to learn more than just about the jeans: we’ve talked about why Levi Strauss was said to have haled from Bavaria (not Germany) (actually we learned about this from our previous study on Otto von Bismarck), we’ve learned about the devastating San Francisco earthquake of 1906, we’ve learned what “dry goods” are, we’ve looked at print advertising of the early 1900’s AND we’ve learned about rivets. Another great study unit! TRAVEL BARGAIN! 13,000 extra miles for $4.00! I often purchase our books via the “used book associate sellers” on Amazon. 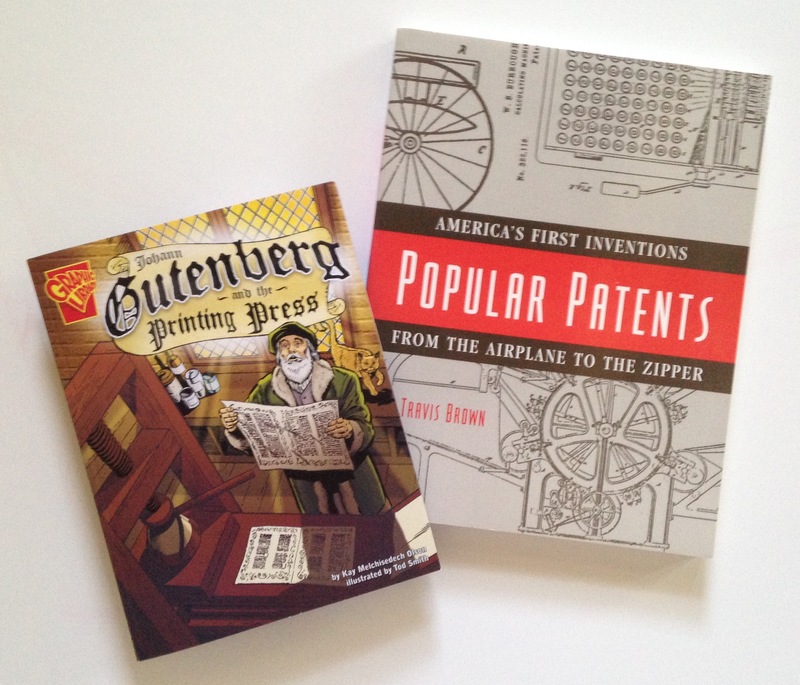 (It is amazing how many books I have purchased for 1 penny, plus shipping.) I usually look to see where the seller is located so I can gauge how long it might take to receive the book. 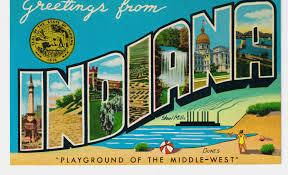 Last week I ordered a series of “Tom Gates” books from what I thought was a seller in Indiana. What a surprise to find out that I ordered the series from a seller in INDIA!!! Crazily, the shipping cost for 7 books was a mere $4.00 and I received the order within a week. A+ on all levels! 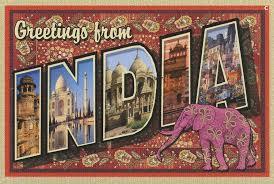 Before we cracked open the first book, we got out the globe, located both Indiana and India, had a small laugh over the 13,000 mile distance, then we traced the route the books may have taken from India to reach us in Texas. 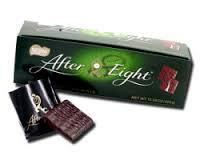 After Eight Mints – each box contains 25 mints. A package of 6 boxes sells for $22. 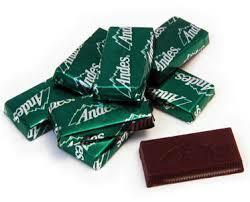 Andes Mints – 5 pounds of Andes Mints can be purchased for $34. There are 70 mints in each pound. A. How much does a single mint of each type cost (we learned about “rounding up”)? 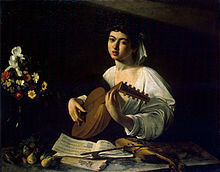 “The Lute Player” by Caravaggio, with sheet music by Jacques Arcadelt. Whoa. Three Hymns from One – As I have mentioned previously, my son and I listen to music of an ecclesiastical nature on Sunday nights. This past Sunday night we followed the path of a hymn written in the mid-1500s by Jacques Arcadelt. Welcome to the best part of my day. Achievement! Last night we finished the original version of Charles Dickens’ “A Christmas Carol”. Due to the centuries-old language and phrasing, it was certainly the most difficult book I have ever read out loud. However, the story is well crafted and it was easy to review each previous night’s reading…in only six chapters, the penurious, mean spirited Ebenezer Scrooge is transformed into a grateful, generous soul who would claim, “I will honor Christmas in my heart and try to keep it all the year.” Of course, my son had to endure my weeping at the end of the story. SORRY. We concluded by comparing the spiritual journeys of Dickens’ Scrooge and Seuss’s Grinch. Holiday Story Problem from Le Fictitious Local Diner – the chefs at the diner, inspired by Dickens’ “A Christmas Carol” decided to add the classic British dessert, PLUM PUDDING, onto their December menu. HOWEVER, when they read through the recipe and were overwhelmed with the list of ingredients they decided to order a plum pudding from Harrods in London and sell raffle tickets for it. If a plum pudding costs £30 (and a pound is currently worth $1.50), how much will the festive dessert cost Le Fictitious Local Diner? If the diner sells 150 tickets for $5 each, will they cover the cost of a plum pudding? How many more puddings could be purchased with the collected raffle ticket money? (Assuming, probably incorrectly, that shipping was included in the £30)? “The Holly and the Ivy”. An old, old carol (mention of the title is found in an essay written in 1823), so beautifully performed by a British boys choir. “Fantasia on Greensleeves”, by Ralph Vaughan Williams. 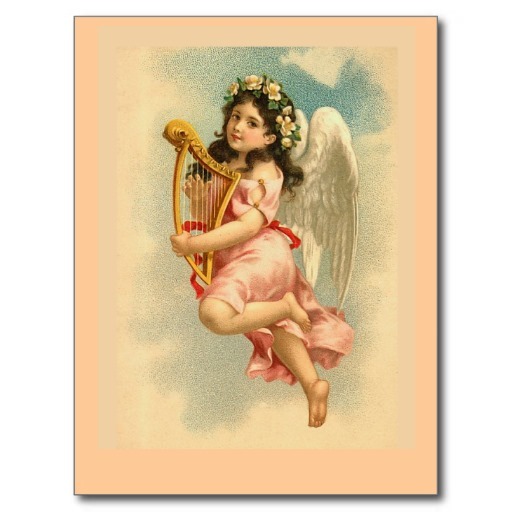 Vaughan Williams’ dreamy composition was based upon a ballad from the 16th century. In 1865, William Chatterton Dix penned the lyrics, “What Child is This?” to be sung to the Greensleeves melody. 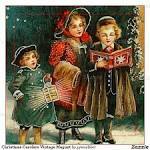 The good news is that Dickens had five Christmas seasons to enjoy this carol before passing away in 1870. The bummer is that he missed Vaughan Williams’ effort, as the Fantasia was not composed until 1934. “Here We Come A-Wassailing” – composed in 1850, author unknown. This high-energy video is brimming with Christmas cheer, and the sound is EXCELLENT. “Wassail! Wassail! All Over the Town” – also known as “The Gloucestershire Wassail”, believed to date back to the Middle Ages. Oh boy! We found a troop of choristers singing this wassail song in YE OLDE ENGLISH costume. 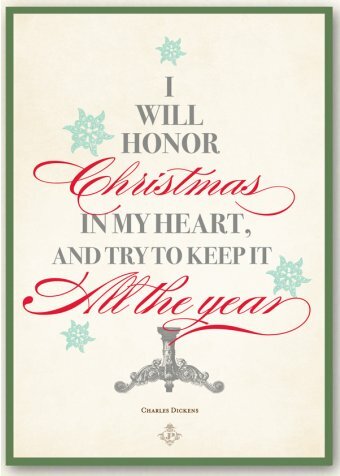 A Christmas Carol – oh, how we would have liked to listen to Charles Dickens read aloud from his “A Christmas Carol”. To hear the delicious phrasing verbalized as he would have envisioned. The wording is difficult, so I am often repeating sentences to get the rhythm and meaning – but so worth the extra time; we are loving the book’s message. 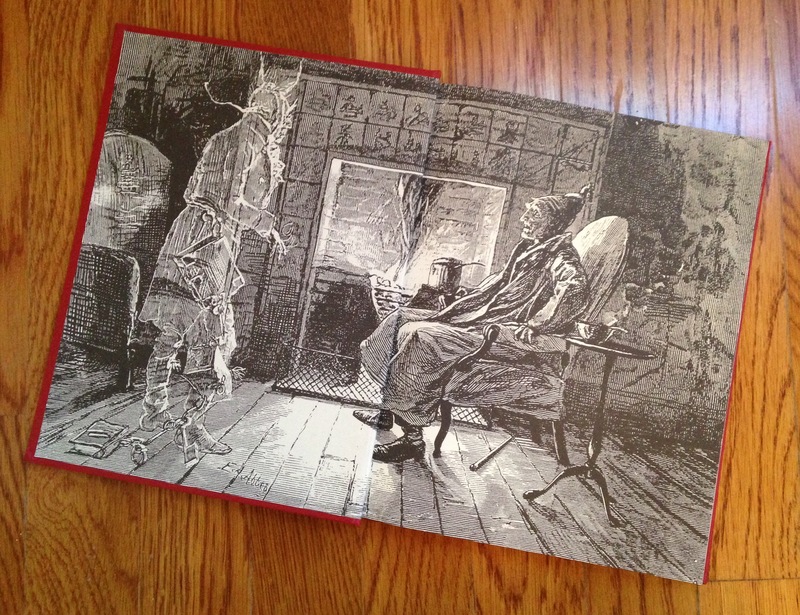 We are midway through, currently reading about Scrooge’s encounter with the “Ghost of Christmas Present” (a bit of a talk about the difference between “Christmas Present” and “Christmas presents”). And we are making a running list of the many ways Dickens can say the word, “ghost”. So far: spirit, specter, apparition, supernatural medium, shadow, and phantom. 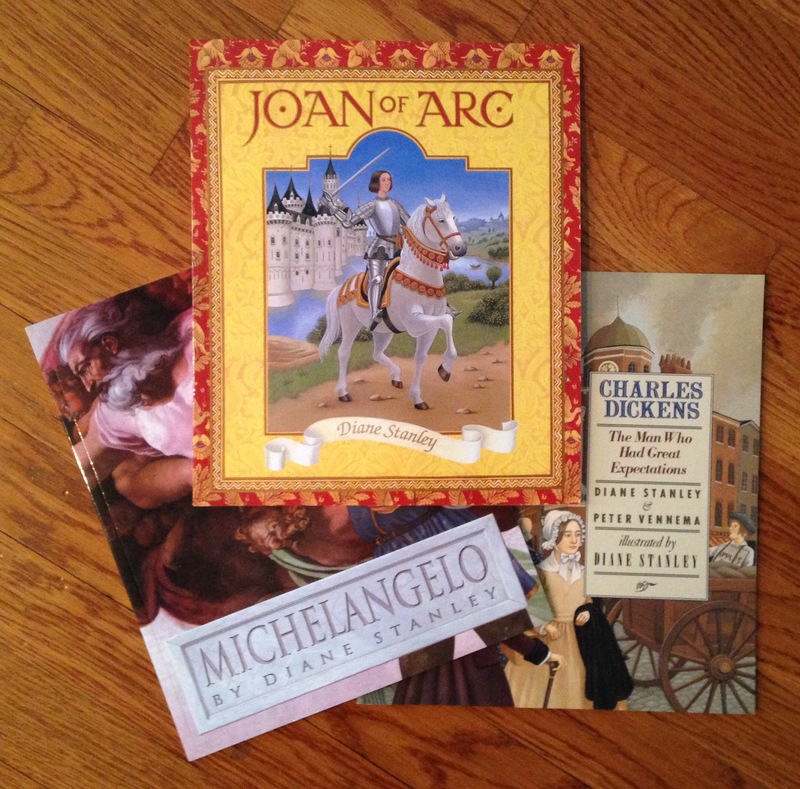 A new academic unit – we are learning about Joan of Arc, via another outstanding book by Diane Stanley. To set the stage, Stanley has written a clear description of the Hundred Years’ War that took place between England and France (the war began in 1337, 75 years before Joan of Arc was born). We are learning that Joan was complex young lady – pious, brave, charismatic, single-minded (let’s just say it: pushy). As I am reading this to my son, I cannot help but wonder what today’s world would have thought about Joan of Arc (the voices? the visions?). NTC Champion! We held the “Name the Continent” finals last night! Our globe is practically a permanent resident in the STORIES AND STUDIES CENTER (my son’s bed); whatever we are reading, if a country is mentioned, we find it on the globe. So, last night, I made up a long list of countries and had my son match each country with its continent. A+! What can I say? He knows where everything is. He’s the NTC Champ! Farmer Brown’s Thanksgiving food prep story problem – Farmer Brown has grown all of the vegetables that he is bringing to the family Thanksgiving gathering. He is bringing his famous steamed Brussels sprouts sautéed in browned butter, his famous green beans with bacon and onion, and his famous sticky sweet potato casserole with candied lemon slices. It takes Farmer Brown 45 minutes to prepare the sprouts for steaming, 1 hour and 15 minutes to trim the green beans, 25 minutes to prepare the bacon and onion, and 15 minutes to prepare the sweet potatoes for each casserole (for which there are 4). The good news is that he has two assistants who work just as quickly as he does. How long will it take the three of them to get the vegetables prepped? “The Swan” from “Carnival of the Animals” by Camille Saint-Saens. This was composed in 1887 for piano and cello. It is a soulful, pensive piece. This video showcases Yo-Yo Ma, so we are listening to the best. The “Carillon” from “L’Arlesienne”, by Georges Bizet, composed in 1872. About one minute into the piece, the flute section takes over, and this is the part that tugs at our hearts – the sorrow, the regret, the wistfulness. It is all there in the music. “La Vie En Rose”, certainly the iconic Parisian melody, written and popularized by chanteuse (prettiest word of the month) Edith Piaf in 1945. Louis Armstrong made a well-loved recording of this, but we wanted to listen to the original voice (this is OLD film footage). Interesting Coincidence – a few posts back (“Two Different Worlds”, July 12, 2015) we mused that the two people we were studying (Rasputin and Albert Einstein) lived at approximately the same time, within a thousand miles of each other, but followed such different paths. It has happened again! We just concluded surveys of Michelangelo (1474 – 1564) and Sir Francis Drake (1540-1596), again living at about the same time, within a thousand miles of each other, but following two such different paths. 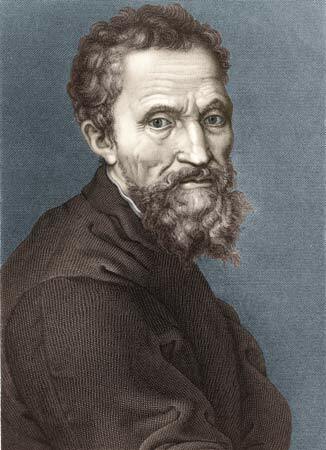 Michelangelo – devoted to the perfection of his sculpture, painting, architecture. Drake – devoted to the accumulation of wealth via the only means he was clearly proficient at: brutal thievery. It was named for Pope Sixtus IV (get it? Sistine – Sixtus? ), and the ceiling was commissioned by Pope Julius II, who just happened to be the nephew of Pope Sixtus IV. Hmmm. In case you haven’t studied the ceiling, there are 9 major panels illustrating three themes: the creation of heaven and earth, Adam and Eve, and Noah and the flood. It took Michelangelo 4 years to paint this masterwork. The 60 foot-high scaffolding (vocab!) upon which Michelangelo stood (yes, STOOD. He did not paint lying down) stretched under only one half of the ceiling area. Michelangelo painted the Noah’s Ark panels first. 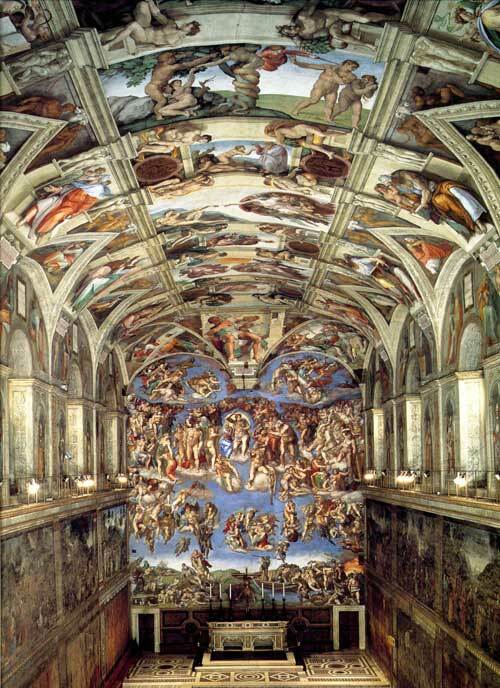 When he finished these panels, and the scaffolding was moved to the other end of the chapel, Michelangelo decided that it was difficult to decipher all the activity on the ceiling, so he painted much larger figures on the creation and Adam and Eve side! I swear, live and learn. Reading comprehension – I wrote up a few paragraphs about my daughter and her job, and had my son read through it – I did not read it out loud – then my son took a multiple choice quiz about what he had read. Did well. Important activity. We continue to enjoy the novel, “Greetings from Nowhere” by Barbara O’Connor. 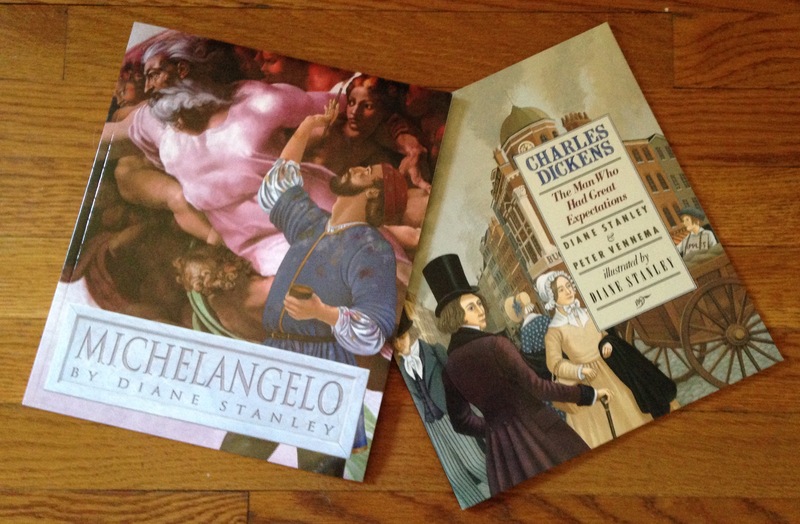 We were so impressed with Diane Stanley’s “Michelangelo”, that we selected another of her books, “Charles Dickens, The Man Who Had Great Expectations” to anchor our new study unit. So far, EXCELLENT! My son is quite taken with this book. We have learned what “shorthand” is and we are now motivated to give “The Pickwick Papers” a try. 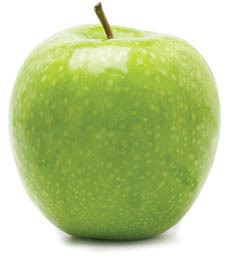 Our Farmer Brown Story Problem – Farmer Brown supplies apples to Le Fictitious Local Diner for their famous apple pies. He sells the diner a box of 100 Granny Smith apples for $8.00. The diner uses 6 apples for each pie. How many boxes will the diner need each month if they make 10 pies every week? How much will the diner be billed for the apples every month? Allegretto from “Palladio for String Orchestra”, composed in 1995 by Karl Jenkins to honor the Roman architect Andrea Palladio, a contemporary of Michelangelo’s. (BTW, this music was used in a De Beers Diamond advertising campaign in the 1990s.) Gorgeous church used in this video. Mendelssohn’s “Symphony No. 4 in A major” (“The Italian”), movement 4, composed in 1883. We LOVE this entire symphony, and we’ve probably listened to this movement 30 times. It moves right along. This video? OUTSTANDING performance. Welcome to the best part of my day! And Happy Birthday HKH! Creativity AND Business Skills – We just completed a unit on Thomas Edison and his brainy brilliance that brought the world incandescent light bulbs, phonographs, movie cameras, etc. 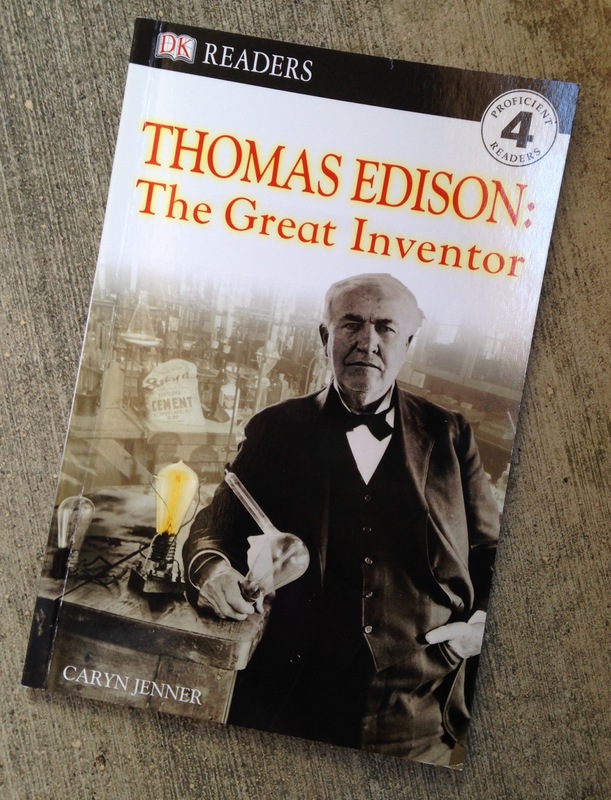 The DK Readers book we read is entitled, “Thomas Edison: The Great Inventor”, but the underlying message is “Inventor? Yes, but this man ALSO possessed extraordinary business skills that were more than a match for his relentless inventing”. Wow. My son and I had as many conversations about Edison’s unerring business sense as we did about his creations. 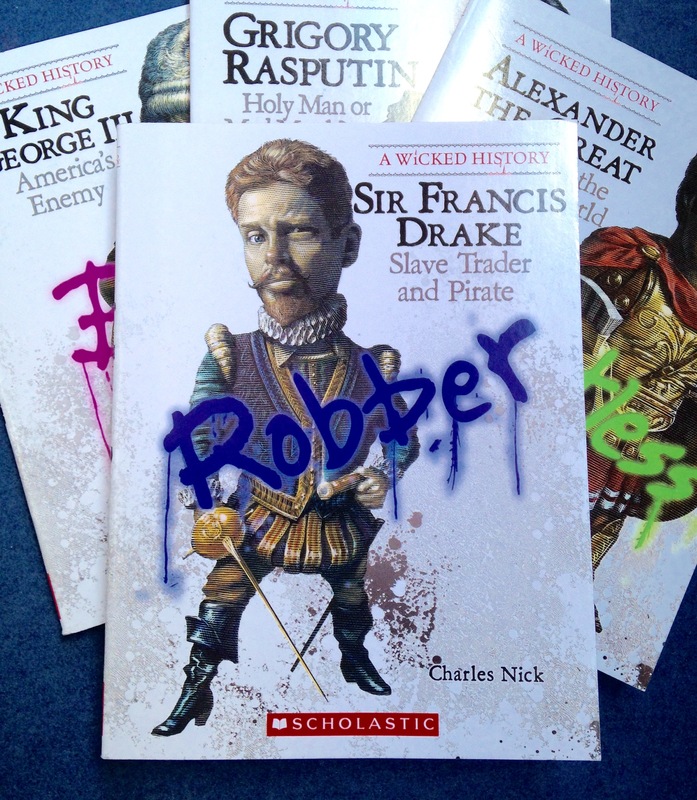 Good books about bad people – so far we have learned about Napoleon, King George III, Rasputin, and Alexander the Great via the outstanding Scholastic “A Wicked History” series. The books are well researched and written to our level of comprehension, meaning NOT juvenile, but not mind-numbingly erudite. The only negative: the photos are always so small, in grey tones/very hard to decipher. 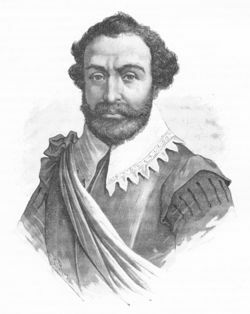 We are currently learning about a really awful person (from a really awful family chock full of bullies, thugs and thieves), Sir Francis Drake. I had NO idea he was so reprehensible. AWFUL. 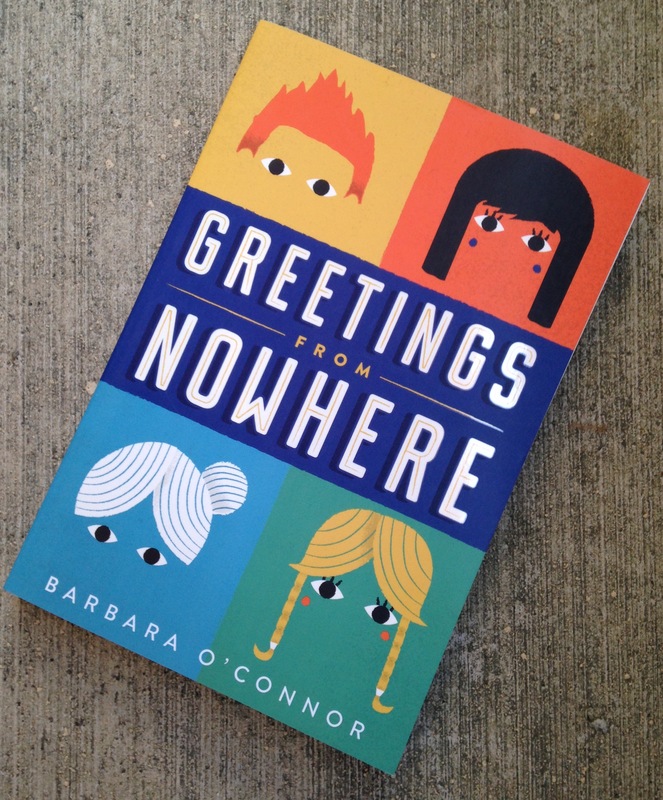 “Greetings from Nowhere” – our new novel, by Barbara O’Connor is an original, entertaining book, just the type we look for (young adult themes my son can understand without the awkward “coming of age” element), with lots of concepts for us to discuss: motel, kitchenette, adoption, and for heavens sakes, last night we had to Google Image CHARM BRACELETS. Art at the Vatican – to prepare ourselves for a Vatican art survey, we are reading “Michelangelo” by Diane Stanley. Excellent resource. Art at Le Fictitious Local Diner – this story problem revolves around the diner gussying up the place with selected pieces of what some might call art. 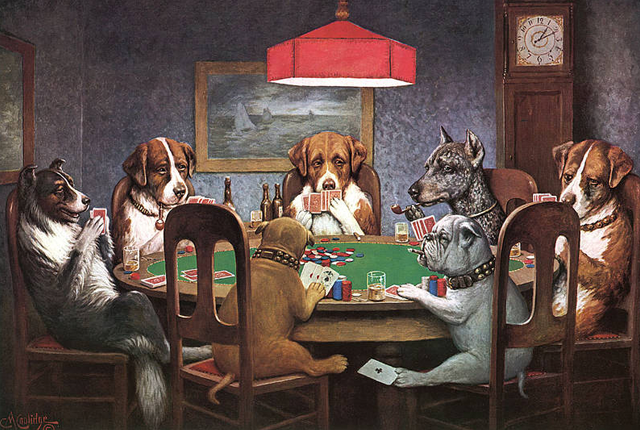 Of course, they are installing the classic “A Friend in Need” (the rest of us know it as “Dogs Playing Poker”) by Cassius Marcellus Coolidge, purchased for $45. A portrait of Elvis on black velvet has also been purchased for $90. Posters of Batman, Superman, and Marilyn Monroe round out the collection, the lot acquired at a garage sale for $10. How much has the diner spent on “artwork”? (Heh, heh, the answer is not “zero”.) Money to purchase the exciting wall decor came from the diner’s tabletop jukeboxes. At 25 cents per song, how many songs had to be played before the art could be purchased? 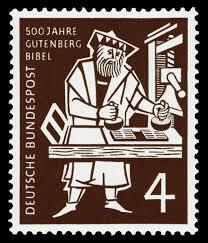 Inventions for Inventions: our classical music theme last night – we celebrated the inventions of Thomas Edison by listening to a few inventions by Johann Sebastian Bach. First, we needed to understand what a Bach invention is. For this, we viewed a superb 7-minute video starring killer pianist Simone Dinnerstein. This video is a jewel! Just watch her flying fingers! 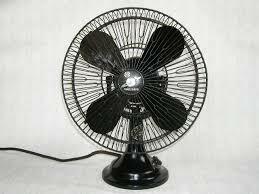 “Invention No. 8 in F major”, played by Simone Dinnerstein. Seriously, we love her! We want to know where to get our SD Fan Club badges. “Invention No. 13 in A minor”, played by little mighty mite, Annie Zhou, an 8 year old, competing in the Canadian Music Competition a few years back. Watch her attack this piece. “Invention No. 6 in E major” played by a banjo and double bass. We watched this for comic relief, but were so pleasantly surprised by the high quality of the performance! Kudos!